WASHINGTON (CNS) — In a world that has embraced the CMYK and RGB color charts — the hue models for color printing and computer screens — many in the U.S. still see the world in black and white. Among racial incidents that have made national headlines recently was actress Roseanne Barr’s racial tweet about an African-American woman who served in the Obama administration. In Philadelphia, a Starbuck’s manager called police on two African-American men who hadn’t placed an order but were waiting for a friend. In Milwaukee, police were accused of tasering a black NBA basketball player over a parking violation at a Walgreens parking lot. Msgr. 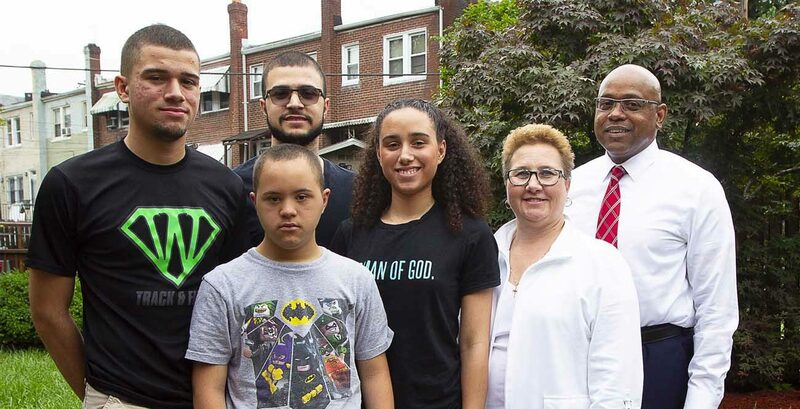 Raymond G. East, pastor at St. Teresa of Avila Catholic Church in Washington, said racism is a worldwide phenomena and problem, and a peculiar institution in the United States. The U.S. Catholic Church first addressed human rights for blacks in 1889 when Kentuckian Daniel Rudd, he himself born into slavery, founded the National Black Catholic Congress. But, Msgr. East said, it wasn’t until 100 years later that the bishops voted for their first pastoral plan that addressed racism, education for blacks in Catholic schools, and a way for black parishioners to engage in civil rights. The U.S. Supreme Court did not make black and white marriages legal until the landmark 1967 civil rights decision Loving v. Virginia. That was 348 years after the first slave ship landed in Jamestown, Virginia. And just two short years before astronauts put a U.S. flag on the moon. Now the new frontier for raising tolerant and inclusive people isn’t the moon, but embracing multicultural families in our homes and churches. According to a 2017 Pew Research Center analysis, one in six newlyweds were married to someone of a different ethnicity in 2015. David and Susan Coates met in Washington back in 1987. He’s black. She’s white. They both worked part time at Earl’s Video Store, and when a customer accidentally left $5 in a returned VHS bag, David knew he wanted to share the good fortune with his workmate over some ice cream. They’ve now been married 22 years and have four children. Susan grew up in a small town in western Pennsylvania and didn’t interact with black kids until junior high school. Introducing David to her family was quite a shock and unexpected, she said. Msgr. East told CNS in jest that one sign God gave people to warn them not to interfere with a marriage was that those who criticized Moses’ Egyptian wife for being different were stricken with leprosy. “You (also) have that beautiful saying in the Book of Ruth that says, ‘Your people will be my people and my people will be your people.’ I think solidifies the larger enterprise of being a people,” he said. “No one really sees race as a problem in church,” Aaron Coates told Catholic News Service from his parents’ home. One of the Coates’ children, Aaron is a student at Howard University.